Clark is an avid sports photographer capturing action for youth, college, adult and professional sports throughout the Hudson Valley and New York city area. Clients include NBA’s D league Westchester Knicks, Women’s profession football New York Sharks, Triple Crown Sports, ZogSports NYC, local colleges and various leagues both men and women. He started his pursuit into action sports photographing semi-pro football leagues and now can be found on many courts and fields capturing the major sports and upcoming sports as kick-boxing and roller derby. 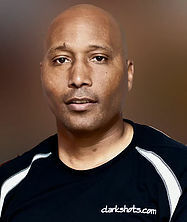 He has a bi-monthly magazine called Metro Sports Magazine, featuring local …athletes and teams. Clark is a member of the Professional Photographers of America as well as Professional Photographers Society of New York Hudson Valley charter, Dutchess Regional Professional Photographers, Mid-Hudson Photography Club, Westchester Photographic Society and other photography clubs. Image competition can be a challenge for even an experienced photographer. What actors go into the creation of a merit image? Paul and Owen are both PPA trained judges. They will take you through the process of selecting the appropriate “WOW” image, enhancing it in post-production, creating a professional presentation and finally selecting that perfect title to put your entry over the top. 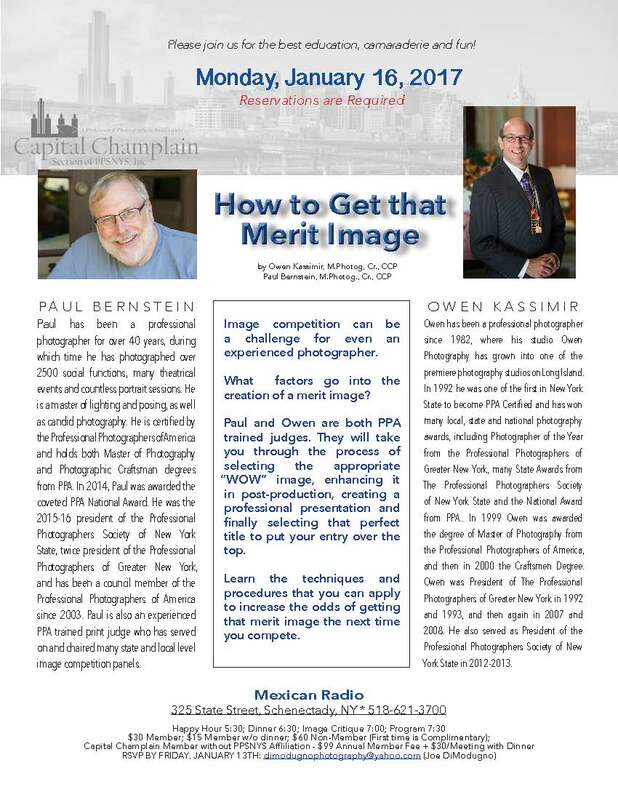 Learn the techniques and procedures that you can apply to increase the odds of getting that merit image the next time you compete.